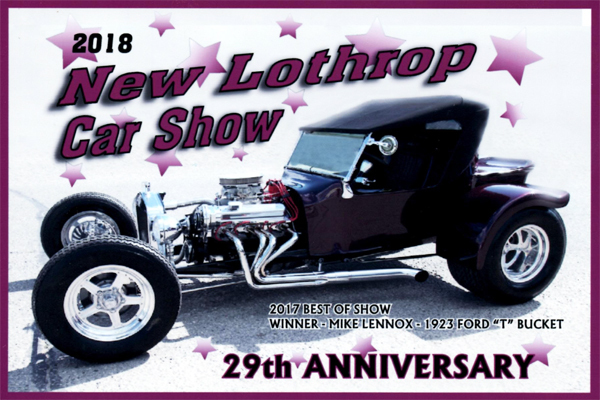 On behalf of all those involved with the planning and organizing of the 29th Annual New Lothrop Car Show, we would like to give a round of applause to our generous sponsors. We appreciate their support year after year! Please help us in thanking them by seeking their professional services and patronizing their businesses. 1st time ever a separate car & truck show! Craft Booths, Auto Swap, Imagination Playground, Great Food, Live Music, DJ Pat Dolan, Beer Tent, Face Painting and Much More! Trophies awarded to the top 50 vote getters of the show! 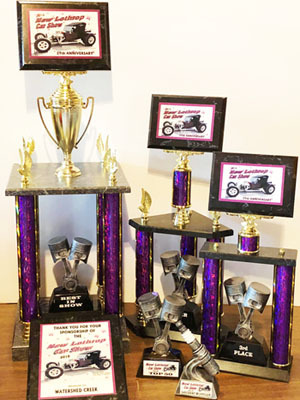 Trophies awarded for Best of Show, Runner Up & 3rd Place. Dash plaques and goodie bags guaranteed to first 100. The vehicle with the most votes will be placed on next year’s New Lothrop Car Show trophies, T-shirts, and this web site!! Enter your Vehicle in the Show! – Must be registered by 12:30pm. Saturday, 10am-4pm at Peterson’s parking lot. Medals Awarded for Each Event! Register At the Show or by Mail! Deadline to pre-register is July 13, 2018. – By MAIL with this REGISTRATION FORM and payment.